Hiplife music Grandpapa, Reggie Rockstone has cut off his trademark dreadlocks which seem to suggest that he will be taking up a movie role. 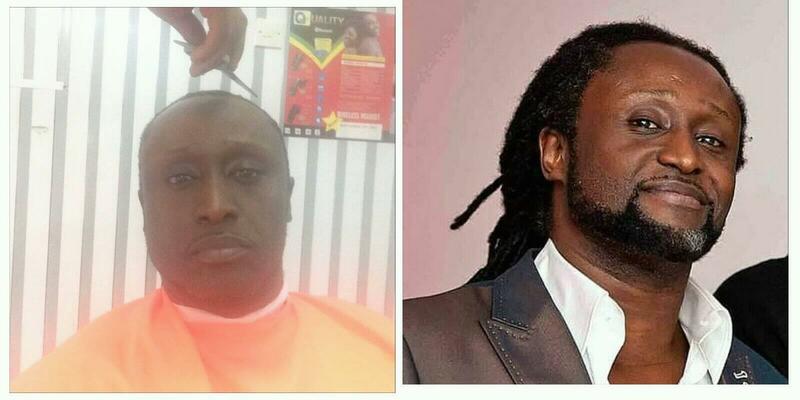 In somewhere August 2013, Reggie Rockstone shared a photo of himself on social media with the caption: ": No more Dredz! Delilah wins!" which got many social media users worried. The member of the VVIP group today threw fans into a frenzy when he shared a photo on Instagram with scissors on his head. Reggie took to his Instagram this morning to share a picture of him at the barber shop with another caption. In the post sighted by Remedi Entertainment, he asked his fans to ‘call the police’ but refused to give more details on why the haircut. Anyone who knows the owner of Django Bar knows how much he cherishes his locks. But it seems this movie he’s about to star in is much more precious than his locks, or maybe there’s huge money involved.